What a gorgeous evening we've had! It's such a relief because today was a very long day at work. I spent it doing reports from an excel spreadsheet -- very boring... The second that I got out of there, I wanted to put on a pretty dress and enjoy the sunshine with my wonderful boyfriend! I just added Google Friend Connect -- I hadn't realized that the follow button was taken away and this replaces it! Oh blogger, what will you do to us next? I hope you have a wonderful Friday and that the weekend comes quickly for us all! Very beautiful photos! You look amazing! i LOVE your dress. Its so pretty and the floral blazer you matched with it is awesome dear! And I also like your accessories a lot! You look beautiful! Amazing dress! Nice blazer! I love your blazer and your shoes very much! I am now following you, if you don't mind, I hope you can follow me back too through blogger and bloglovin too! Ahhh this is y favorite outfit I've seen you in yet! You look amazing. Loving the dress against the blazer and the feminine vibe of the outfit. Great pics! The dress is stunning and the floral print of the blazer is awesome!!! Beautiful pictures and look! I love the romantic feel to your outfit. i love your floral blazer!!! Cute outfit! and waww your legs! Everything about these photos is just stunning! Love the lighting and of course, your great style! Beautiful look! I love the blazer over this dress. 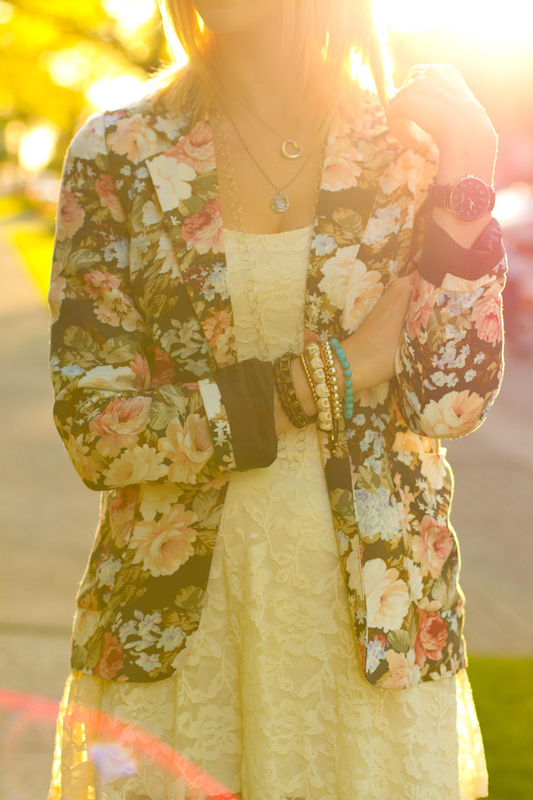 Love this outfit - that floral blazer is amaaaa-zing on you! GREAT PHOTOS AND NICE LIGHT! Love the dress! Gorgeous look! You look incredible! I love this outfit so much! you are gorgeous! the blazer is like the Celine's model. i'm a found of it! I don't think we can find it i France ?? Les photos sont superbes! J'aime ta tenue! Great pictures, incerdible oufit plus you are so pretty! Love this post!!! I LOVE THIS OUTFIT! It looks great on you :) I should stop myself from getting more lace dresses...but this is really tempting! You are so stylish!!! love this outfit so much!! Following you! You look awesome! This blazer is amazing. I used to run the other direction from print...but I'm loving all the floral and tribal print this season. Love this blazer and how you paired it with the lace. Great nails too and girl....those legs? jealous. And you very lucky to be soooo beautiful! 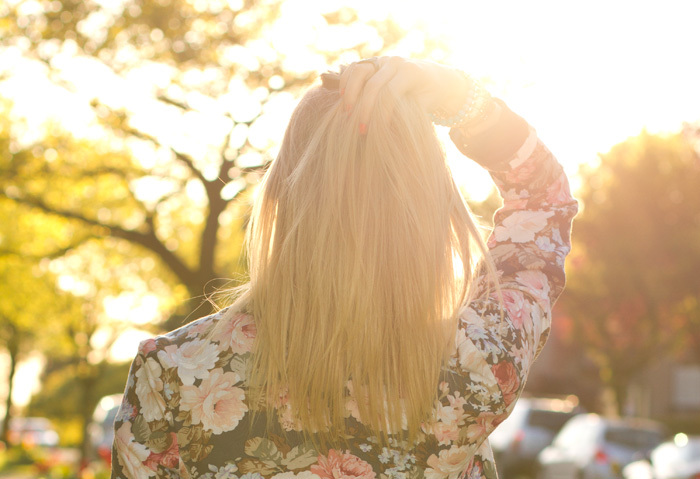 Love your style, Alison and folloe you on bloglovin and GCF. I would be more than happy to gave you too among my friends and followers on GCF and bloglovin! Your pictures are so amazing! This outfit looks great on you! Lovely outfit, especially love the jacket.